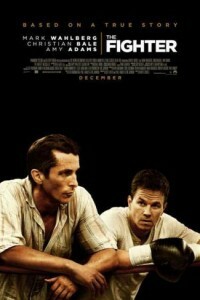 In the movie “The Fighter,” Oscar nominee Mark Wahlberg (“The Departed”) plays Boston boxer “Irish” Mickey Ward, a fighter who was losing bouts and was ready to hang up the gloves when his brother, Dickie Eklund (Christian Bale), came back into his life. Eklund, whose drugs and robbery spree drew him a 10- to 15-year sentence in state prison, kicked the drugs, became a model prisoner and emerged as a changed man who helped his brother reach the glory that eluded him. Oscar nominees Amy Adams and Melissa Leo costar. Mark Wahlberg reteams with his “Three Kings” director David O. Russell.